A yearly international programme for our affiliated companies to increase their visibility during international events attended by your cluster in 2018 and relevant international business meetings. 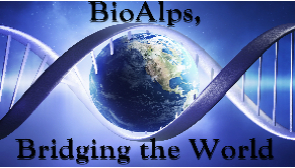 BioAlps will be attending international exhibitions in USA and Asia. A new way to explore market, improve market knowledge, interact with international visitors and R&D centres, save time and benefit from the unique opportunity to increase worldwide visibility.